Historically, real estate has been viewed as one of slowest sectors to embrace new ways of doing business – much of the admin associated with property purchasing hasn’t changed for 100 years or more. As such, proptech has not developed as quickly compared with the likes of fintech and healthtech. But as attitudes change, the pile of fresh capital ready to invest in tech-led solutions in the property market is growing year-on-year – which means everyone is now claiming ‘proptech’ status. Investors across the globe are recognising the potentially lucrative opportunities in the burgeoning proptech sector. Earlier this year, international property firm JLL announced the launch of its $100m proptech venture capital fund JLL Spark, which will focus on both early and later stage funding for some of the most exciting tech-led firms in property, marking just the latest stride into this investment category. Just five years ago you’d struggle to find many financier’s that understood what proptech meant for the real estate sector. Now, proptech businesses are beginning to reap the benefits of a clear shift in sentiment as growth opportunities have begun to be realised. For example earlier this summer, Dot, a firm with an online product which simplifies the property investment lifecycle from securing a mortgage to sorting out furnishings into one button, secured $1.5m in venture capital seed funding. We’re also seeing the increased interest in proptech from investors looking to get involved in the rapidly developing market – especially in the last six months. We havebeen approached by many more investment and private equity firms, who don’t have any property expertise, and need experts like ourselves who can help them acquire knowledge of the property sector through the use of big data sets and the increased proliferation of digital property data. Clearly there is a fantastic opportunity for young, innovative businesses placing proptech at the heart of their models to market themselves to access new growth opportunities. There is, however, a danger that in the push for investment the definition of ‘proptech’ becomes diluted. Already we are seeing some established property firms with a large online presence market themselves as ‘proptech businesses’ in order to attract the attention of those closely watching the sector. Exciting tech-led, innovative solutions in the property market are being grouped together with these firms, which have done little more than migrate some of their old service offering onto a website or shiny app. This has ignited a proptech identity crisis. If the truly innovative are to continue attracting investment they must prioritise differentiation in an increasingly crowded market. This means embracing cutting edge technologies and always thinking ahead towards what is coming around the corner – embracing the definition of proptech. 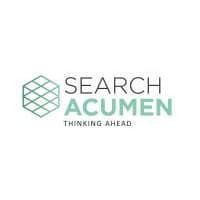 At Search Acumen we have always future gazed and ensured our minds aren’t only focused on what works in today’s market, but also what will be shaping our sector in five or ten years’ time. Having followed the impact of technology on the property market throughout my whole career, the increasing attention from the investment community is a hugely exciting prospect. Without funding, successful innovation is near enough impossible. However, as the proptech sector becomes more crowded firms must not get complacent and should always push ahead to stand out above the imposters in order to thrive.